All transactions are safe and secure with a reliable history in online purchasing behind each of our associates. Buy the Old School Frank t-shirt to own Old School clothing and merchandise. Wear this movie logo design to the biggest party of the year, Mitch-A-Palooza, also known as the Mitch Martin Freedom Festival! This Frank t-shirt lets others know that you love everything Old School, including Speaker City, the festival sponsor. This design is available on the apparel color black. Wear it under a related sweatshirt to stay warm while you party. 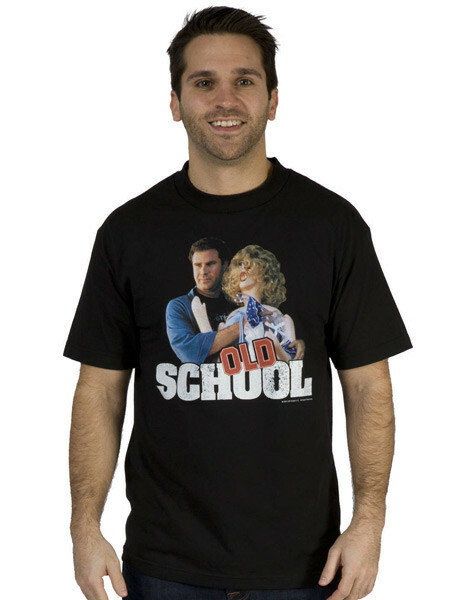 In addition to the Old School Frank tee above, browse the Old School Clothing Gallery for more apparel like men's and women's clothes, kids shirts or hoodies.